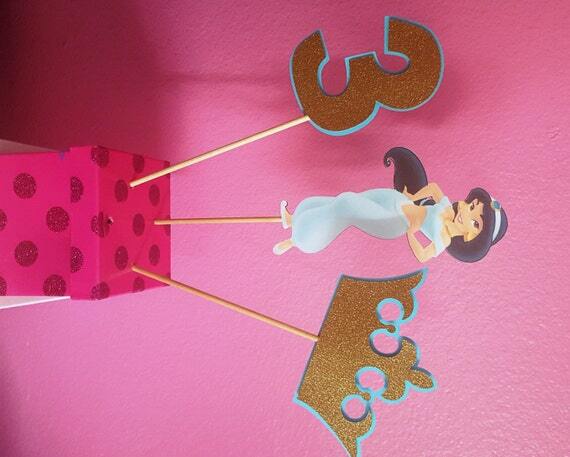 This listing is for a set of 3 Disney Princess Jasmine Centerpiece Picks only - Perfect for your Birthday party or Baby Shower! **AT CHECK OUT LEAVE AGE CHILD IS TURNING! Picks are approximately 8 inches and 14/16 inches adhered to dowels and comes with a solid backing. Made from Cardstock.